At Boiler Services Dublin we like to help and provide you with any information we can about your oil boiler and our business. Here are just some of the most frequently asked oil boiler FAQs and more about our services. Q. How frequently should I have my oil boiler serviced? A. Your oil boiler manufacturer will recommend an oil boiler service annually. Q. Why do I need an oil boiler service? A. An annual service will clear your oil boiler of a build up of soot. This will enable it run at it's maximum efficiency. This will reduce fuel consumption therefore reducing your fuel bills. A recent study stated that if you hadn't had your oil boiler serviced for 3 years that the average saving would be 15% on your annual heating bills. Your service technician will check all of the safety control features and operational systems. This will include checking for leaks and start up performance. When checking the start up performance a trained ear will sometimes hear noises that indicate imminent failure of one or more components. Addressing any problems at this stage can save large amounts of money in the long term. If your boiler packs up completely it will cost far more to fix than maybe a new part during your annual boiler service. Q. Is it expensive to have an oil boiler service? A. The average company charges a standard €99 to service an oil boiler. Boiler services Dublin charge anywhere between €59-€89 depending on the make and model. Q. Why is there different prices for different makes and models? A. It's not necessarily to do with the size of your boiler that the price can vary. Some boilers take a lot longer to service properly. As we are putting our outstanding professional reputation to the work we complete we do a very thorough job. Some oil boilers have important parts in difficult to access places and some have more components that may need to be removed tested and cleaned before being replaced. Q. What happens if a technician says I need a part replacing? A. Our technicians will always recommend replacing a part where necessary. We will often have parts with us in case of this. The technician will discuss this with the customer first and the price of the part involved. It is ultimately the customers decision. If we do not have the part in stock we will get it for you. We will not charge for getting the part or the traveling time involved. We will return and fit it at your convenience. Q. Do you repair oil boilers? A. Yes all of our staff are fully qualified, R.G.I. registered plumbers who just happened to decide to specialize in service, repair and replace boilers. 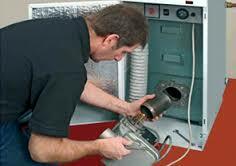 If your boiler breaks down you can guarantee if any one can fix it our team can. We happily fit replacement parts where required during an annual service, obviously after consultation with the client. Q. So you replace oil boilers? A. Yes we can get any make or model in the market place you require. We are happy to come to your home or business to offer professional advice and discuss your needs and requirements. We always give a free no obligation quote which we know will be as competitive as anywhere you can find in Dublin. Q. I need my oil boiler servicing but I.m never here in normal business hours, is that a problem? A. Not at all. We understand that our clients have to work too. 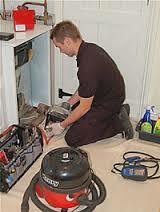 We can arrange for one of our technicians to attend your home or business at a time that suits you. We can call in the morning, evening or at weekends for no extra charge. Q. Do you cover all of Dublin? A. Yes our technicians are based across the county so wherever you are we can help. Q. Do you have an emergency oil boiler service? A. Yes because of the size and nature of our business we operate an emergency 24 hour boiler service. In these occasions just call us any time day or night, one of our senior technicians will try to assist over the phone in first instance. If required we will dispatch someone to your home or premises and they will be with you within the hour. We do not operate a call out charge. A. Yes we are fully covered by both public and professional indemnity insurance. If you require any further information we are happy to answer any other oil boiler FAQs or would like to arrange your annual service just call us today on 01-8326699.